The Department of Science and Technology (DOST)-National Research Council of the Philippines presents the kind of seaweeds which is domestically found in Ilocos Norte, Aklan, Iloilo, and Cagayan, has been put into research as potential agent against cancer and other diseases. Pukpuklo seaweeds has been found to have an anti-cancer benefits as it presented at The Values of Philippine Flora and Fauna symposium by the Department of Science and Technology (DOST). The findings have been discovered 'Pukpuklo' possesses polysaccharides that is effective enzymes that aid the propagation of cancer cells in the body. A polysaccharides are composed of carbohydrates such as starch, cellulose, or glycogen that can strengthen cells and tissues in the human body. “Yung pukpuklo natin ay may characteristics that can help or makatulong sa paglaban kontra cancer cells,” DOST Provincial Director Jonathan Viernes said. 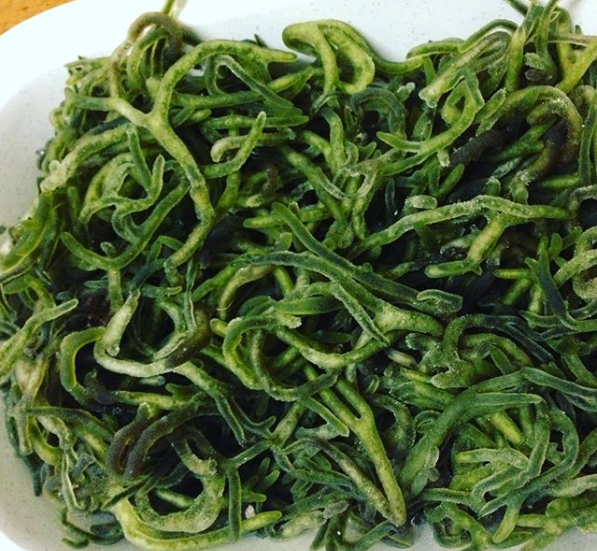 Pukpuklo is also a potent neutralizer of cancer, one can turn to this green seaweeds for skin, goiter, and it has an anti aging value. “This has also properties that have an effect on the skin. Nagbibigay din ito ng healthy skin and faster healing on the body,” Viernes added. Viernes further added that more studies and research will be conducted to explore more of its medicinal values.